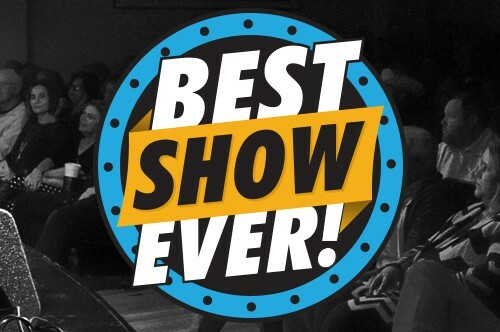 This past weekend we highlighted another edition of “The Best Show Ever”; our very own variety show which is modeled after the great Ed Sullivan show. Some might ask why we would go to all the trouble to produce a show with so many moving parts and with so many different styles and types of entertainment. My answer has been “We want to produce the best entertainment our customers could ever experience” and thus the Best Show Ever was born. I am not sure where but at the New Granbury Live a person can come and see an Emmy award winner like Linda Stogner, a 4 time Grammy nominated performer like Dave Alexander, a Will Rodgers award winner like the great Billy Mata, Braden the Magician, Miss Texas Madison Fuller doing her ventriloquist act, Kelli Fiori as a Marie Empanada the Fortune Teller, and see it all in ONE show! This past weekend the music had people rocking, the comedians had them falling out of their chairs, and the interactive audience part of the entertainment was a big hit! People had a good time, laughed and loved this fast-paced variety show. We even have old TV commercials as part of the show; Do you remember “I can’t believe I ate the whole thing!”? I promise if you were not at GBL you missed something special! The Best Show Ever returns on June 22 and this show is going to include the CMA Male Vocalist of the Year and multiple Grammy award winner, Bryan White. You remember those great songs he sang like “Rebecca Lynn” and “Someone Else’s Star”. I promise the rest of the cast will be just as exciting and the music, comedy and fun will keep coming. These are don’t miss shows, so put the Best Show Ever on your calendar and come experience live, variety entertainment, performed like live tv! There is a reason it is named “The Best Show Ever”! I have a little confession to make to you all: As General Manager of the New Granbury Live, one of my many duties is to book acts for the theater. From the outside that may appear to be an easy job. During the course of a week I have occasions for people to approach me and suggest an artist to bring to Granbury Live: “Get Vince Gill” (tickets would have to be $300 for us to break even! ), “George Strait” (I’m in if George is!) or someone they saw In a bar where they did not pay admission (why are people going to pay Granbury Live to see someone who regularly performs for free?) I must find talent which has a reasonable cost, people must want to come and see the entertainer, and the entertainer must perform at a high level. Even with doing my homework, on rare occasions an artist does not deliver. This past year we had an occasion where a very well-known performer appeared and to say his presentation was poor would be a great understatement. I disliked the show, so did the public, and they won’t be back! Most of the time I get it right and we have good shows. Occasionally, I even surprise myself with how good the results are! This past Friday night I hit a home run…no wait: I think I hit a grand slam! Wade Hayes was in the house and did a magnificent job! His voice, his songs, his attitude and emotion, were as crisp and pure as his outstanding guitar playing. Wade made a wonderful career for himself before stage 4 cancer struck him and nearly took his life. Well, I am proud to say he has beaten the cancer, and he is back writing great songs like “Who Saved Who”; a story about a rescue dog Wade took in who helped him in life as much as Wade rescued the dog! The crowd loved the story, Wade’s emotional explanation of the song, and the sound! Make no mistake about it, this is a tremendously talented man, and he deserves your attention for his musical talent and for his humanity. I have already reached out to Wade and his agent. I want them back and maybe this next time with a full band. I promise, when he comes back to the New Granbury Live, get a ticket because it will be an experience you will not soon forget. In my mind, he is clearly one of the top 5 shows we have EVER HAD! Pull up some of Wade’s new songs from your favorite music provider and listen. This is not a guy who wants to live in the past, singing only the songs which brought him his initial fame, but is seeking to add to his legacy with a whole new set of wonderful tunes. If you weren’t in Granbury Live on Friday night you really did miss something special. The good news is when he comes back, you will have a second chance; just like Wade has gotten. 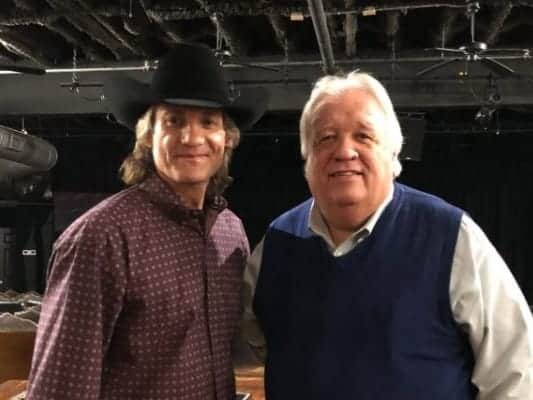 God Bless you all and God Bless my new friend Wade Hayes and his terrific music! I love it when we have a busy weekend at the New Granbury Live: especially when those who attend walk out of the theater have a big smile on their face! This last Friday night we had my friend Max Stalling perform and gosh darn he put on quite a show! I think everyone’s favorite song was at the very end of the show, when Max and the band disconnected their instruments and the mics and sang without power! The acoustics in the room were spectacular and the experience was memorable! Every time Max comes to Granbury Live, he generates a whole new group of devotees! A truly fun show! If you have never seen Max Stalling, you are missing something truly special. A wonderful, world class songwriter and performer. 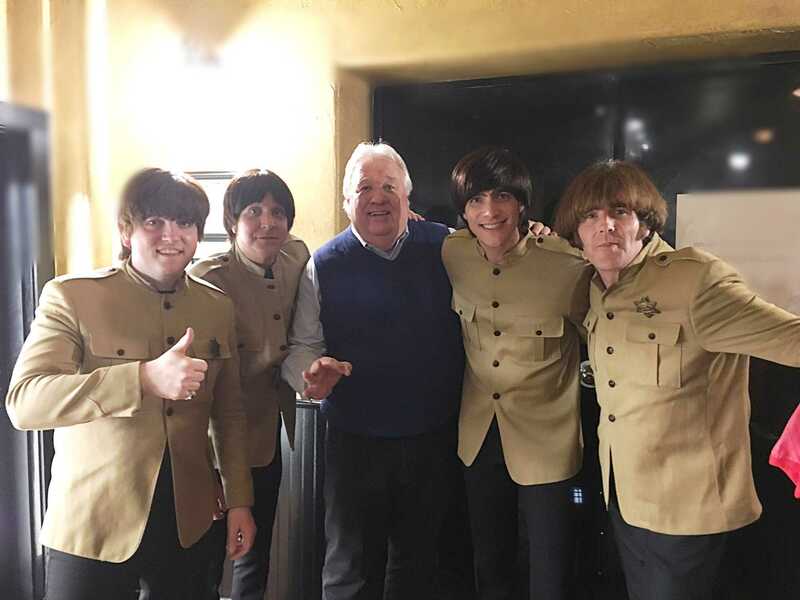 On Saturday and Sunday, we had a total of three performances by “The Return” a Beatles Tribute Band. Since it was the 55th anniversary of the Beatles appearance on the Ed Sullivan show, the performers wore similar costumes and sang all the early Beatles tunes. People were singing along, remembering where they were when they heard the Beatles for the first time, and some even danced in the aisles! The sold-out Saturday night crowd really got into it and the magic in the room was evident. I am already negotiating to bring “The Return” back to Granbury Live, only this next time we will have them sing some of the later Beatles stuff as well! People had such a great time! We have got great shows coming up, but I must steer you to “You’ve Got a Friend: A Tribute to the Music of Carole King, James Taylor and Carly Simon”. What great songs and the stars of the show, Stephanie Lyles, DeAnna Woods and Joseph Neville, are all terrific and will do justice to this wonderful collection of music. Talk about bringing back some memories and wanting to sing along! I think both shows on March 16 will be sold out and we will have an outcry to bring the show back on a future date. This is going to be one of the best shows we have ever had! Get your tickets now because you don’t want to miss it! This week we have a sold-out Gene Watson show on Saturday and a sold-out Josh Weathers in our new series, The Road Less Traveled. You need to check it out. My pal Drew Meyers is bringing his Defining Audacity Radio show to Granbury Live and will be featuring live interviews and the music with some of the best young songwriters in the land. Going to be another fun one! Can you believe that 2018 is almost over? My mind tells me I should be looking for Easter or St Patrick’s Day, but no, the year is almost over! When I look back at how far Granbury Live has come in such a short period of time, it gives me a great sense of pride and satisfaction. I love the great performers who have graced our stage like Radney Foster, the Bellamy Brothers, John Conlee, Moe Bandy, TG Shepard, Gary P Nunn, Shenandoah, and many others. Rising stars like Michael Hix and Holly Tucker have been wonderful! Our Follies shows never failed to provide first class entertainment, and I am so excited about new shows like THE BEST SHOW EVER! 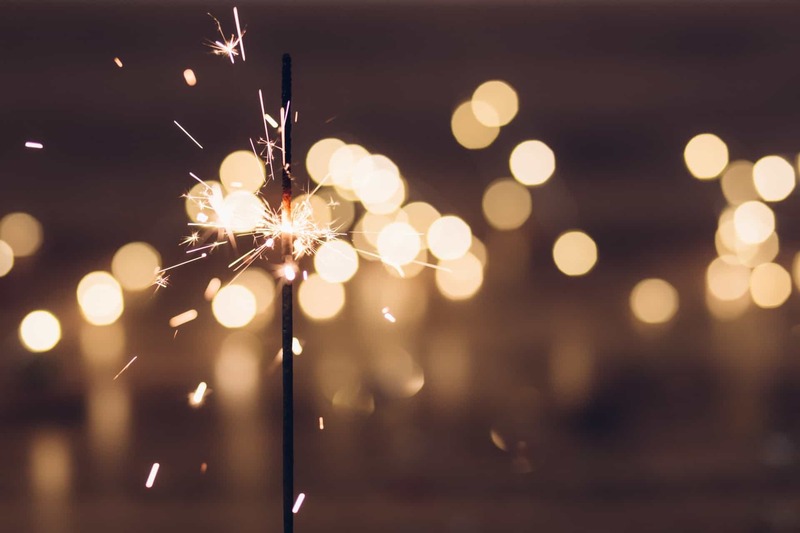 I hope the New Year brings you lots of joy and happiness and you share part of your time during 2019 seeing some of the great shows we have coming up. I am tremendously excited about what we are going to bring to the table and I think you will be excited too! Well the Christmas season could not have started off better than it did this past weekend! On Friday night the Historic Granbury Merchants produced their annual Christmas Parade and it was spectacular! Lots of floats and lots of folks there to watch all the Christmas spirt unfold! I would hate to hazard a guess as to how many people were in the parade and how many were watching, but it was packed and the best parade I have ever seen! Really a great testimony to the wonderful town of Granbury and to the Merchants Association! Way to go! Really a production to be proud of! On Saturday things got even better with the Texas CMA Female Vocalist of the Year, Holly Tucker presenting her show, “A Holly Jolly Christmas”. This amazing young talent was terrific and had the audience eating out of her hand as she performed her own songs as well as a variety of Christmas and gospel songs. I cannot express in strong enough terms how much talent I think this young lady has, nor even begin to relay what a wonderful person she is. I am thrilled every time I hear her voice and have the good fortune to be around her. If you missed Holly, she performs very regularly all over Texas and I would suggest you go to her web site or Facebook page to see when she is going to be playing again near you! It is worth the price of the admission! So this week it is the energetic and amazing Michael Hix as he performs on Friday November 30 at 7, on December 1 at 2pm and 7pm, and December 2 at 2pm. I love me some Michael Hix and word has it he is going to break out some new Christmas songs which he has written which are sure to become some of your holiday favorites. Michael always puts on a show which has the audience standing and cheering, so get your tickets and come join the fun. We still have Radney Foster, Shenandoah, the Granbury Live Follies, Penny Gilley, Dale Morris Jr, and our Christmas is for Kids show to come in December. Gosh I love this time of year and the shows that are coming to Granbury Live! 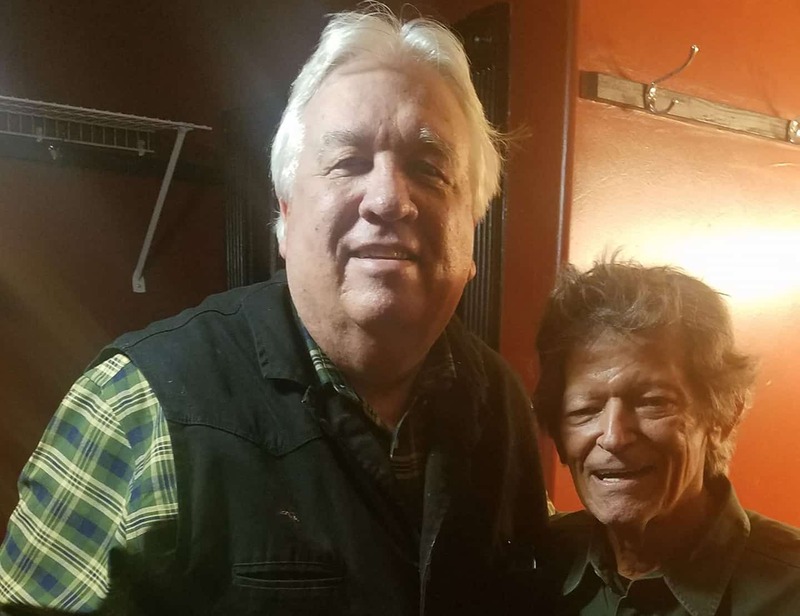 We had another big sold out show at Granbury Live this past weekend when country music legend, Johnny Rodriquez came to town! I know Johnny’s fans were happy to see him, but I do not know if anyone was more excited then I was. I started listening to Johnny when I was working in the oilfield during summer breaks from college. I grew up as a rock and roll guy but all the guys I worked with listened to country and so I got exposure to a genre of music I probably would not have otherwise sought out. Now truthfully, some of the country I heard did not appeal to me at all, at least at first, and it took a while for me to appreciate Tammy Wynette and a few others. I liked Johnny Rodriquez right from the very start. His great lyrics and delivery really reached me and made me want to listen to more country music. As a result, a country music fan was born. me, and Johnny Rodriquez music made me smile and appreciate country music. Isn’t that one of the great things about music; it can transform you to another place in time! Hope to see you at our next show and maybe we can stir a few memories in you! What we you doing this past Friday night? If you were not at the New Granbury Live you missed my friends, Ray Reed and Gator as they rocked the house playing their “House Party Blues”. What are “House Party Blues”? It is a combination of some great blues sounds mixed in with a little Motown and some occasional pop. The female vocalist in the group, Miss Alice was wailing away like nobody’s business and I am here to tell you, her infectious enthusiasm got the crowd going! Gosh, I love to hear a harmonica echo and a bass really get stroked! I spoke with a lot of people after the show and they agreed with me, it was one fantastic presentation. I cannot imagine anyone coming to this show and not having a good time. It rocks! 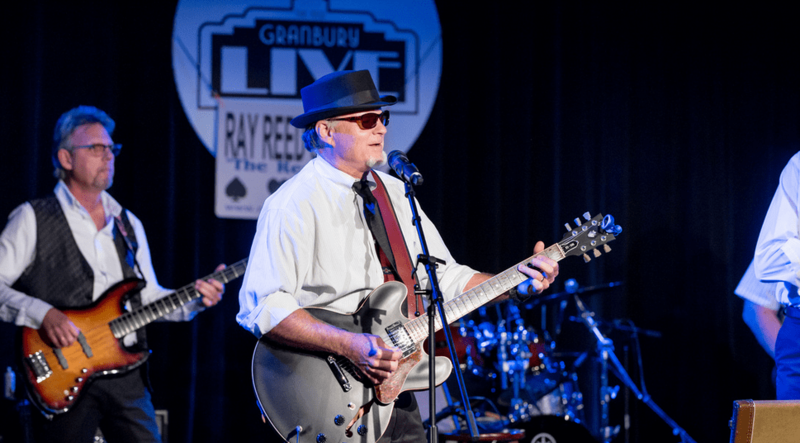 Ray Reed and Gator are going to be back at Granbury Live on January 11. Get your tickets now and don’t miss this fun filled evening. You will not regret it! Not sure many people enjoy music more than I do. For me, one of the best things about being associated with the New Granbury Live is the opportunity to regularly attend great music concerts from a wide arrange of artists. Every now and then, it is nice to take a break from music and have a little different form of entertainment. 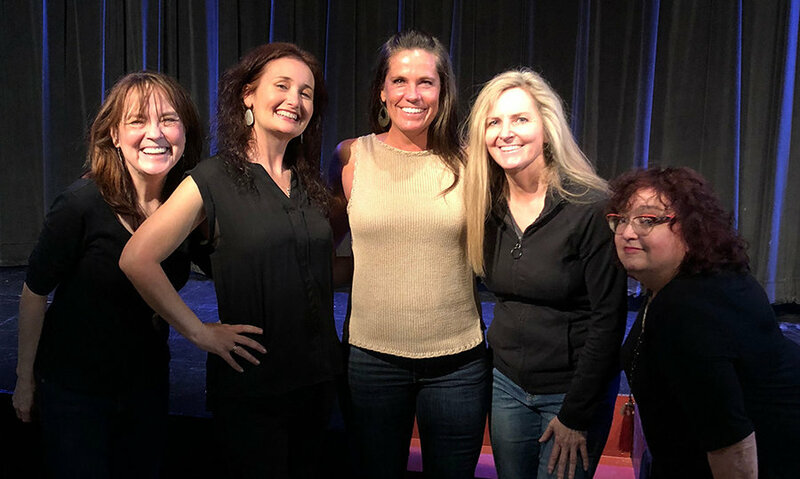 This past Saturday night at Granbury Live the” Four Funny Females”, a standup comedy troupe from the Metroplex, performed and it was wonderful! The four ladies, all professional women in their day jobs, entertained the audiences with a variety of jokes and stories delivered in a first rate style and with top notch results. These girls topped the Dallas “A List” two years running and it is easy to understand why! It was laughs a minute and I had a bunch of folks stop me and asked me to make sure to have them back in Granbury Live in the near future! Look for “The Females” to be back around the middle of 2019 and watch for when tickets go on sale! I am pretty sure the next time through they will sell out and if you don’t get your ticket early, you will be on the outside looking in! It was a heck of a lot of fun and while music soothes your soul, a good laugh heals the heart! I love it when Granbury Live sort of branches out and brings a new act to town! This past Friday it was our great pleasure to have the Rosemont Kings, a wonderfully talented band from south Dallas come and perform. It was incredible! They played Motown, R and B, Pop, and a little Rock and Roll to boot! People got up and were dancing in the aisles; and yes, there were some people dancing you would never expect to be dancing but the music was just that good!!! Kraig Lloyd, the lead singer also performs somewhat regularly with our Granbury Live Follies. His voice will never disappoint! I so love my country music, especially swing music, but a guy just can’t miss with classic songs like the Rosemont Kings performed! They will be back, and I promise you need to come and see this great group of young men the next time they are in town! They will never disappoint! It was a memorable night! It was quite a weekend this past week! At Granbury Live we had a couple of great performances of the Tony Award winning play, Same Time Next Year; one on Friday night and one on Sunday afternoon! The Director Don Shook brought two wonderful actors to play the roles of George and Doris; Nancy Chartier and Greg Mansur. These experienced performers were wonderful, and the audience seemed to really appreciate this light hearted, romantic comedy, especially in our intimate theater setting! On Saturday we had two performances of Chris Collins and the Boulder Canyon Band in their tribute to John Denver. I was away from the theater performing my show, but I am told they were outstanding and the nearly sold out crowds were awed be the John Denver like performances. We are already looking into bringing Chris back to Granbury for an encore performance! 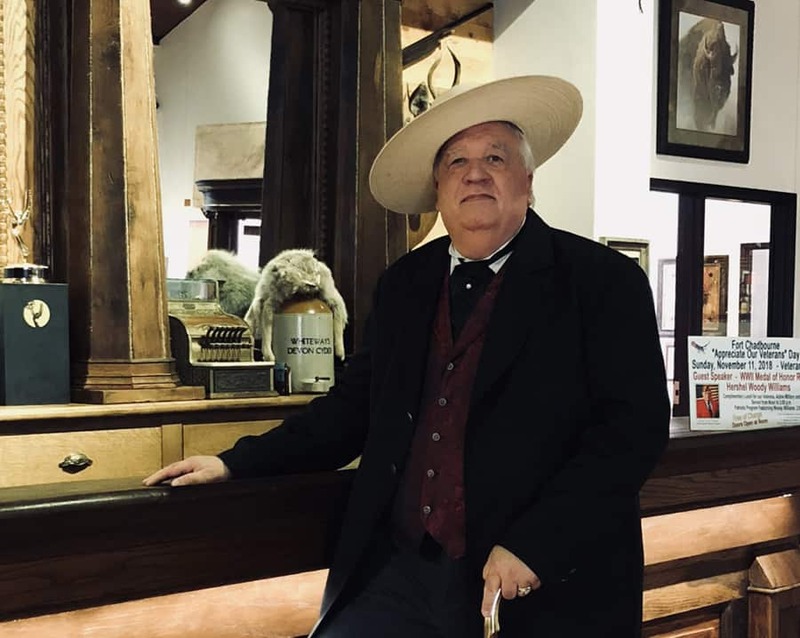 As I said, I was not at the theater as I was performing “The Lion of Texas-A Conversation with Sam Houston” to a crowd of west Texans at the Fort Chadbourne Museum in Bronte. For those of you who have never been to Fort Chadbourne, it is an old cavalry outpost and was an actual military base from 1852 until the mid to late 1870’s. Many of the actual building have been restored and the museum was FANTASTIC! If you are ever in the area, please go by and see Fort Chadbourne, cause it will be worth the visit. The fundraiser seemed to be a success and the audience was very kind and gracious in their affection for my show. I know I will always enjoy playing the roll of General Sam and seeing Texans excited about their heritage! A special thank you to Garland Richards and his wife Lana, and to Ann Pate for inviting me to perform at this historical location. What great hospitality and such a great group of people. I know Fort Chadbourne is a little off the beaten path, but it is SUPER COOL and worth the visit! Now it is time to get ready for the Granbury Live Follies show this weekend! If you haven’t got tickets, you better get on the stick cause this rock and roll/Motown show will be something to see and hear!